Banglamung District authorities have ordered the demolition of Bali Hai Plaza for encroaching on public land. 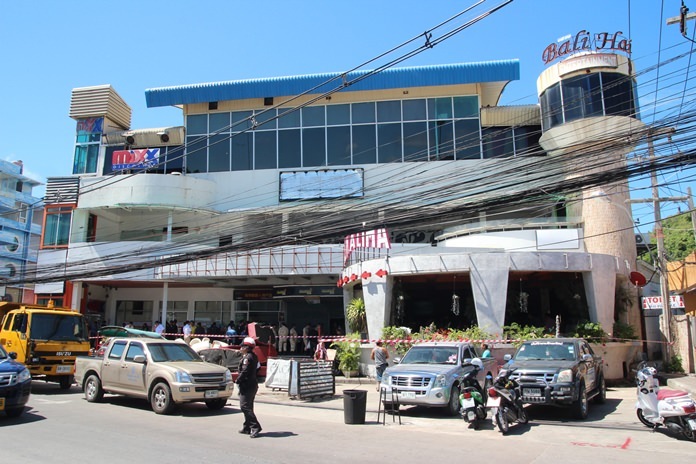 District Chief Chakorn Kanjawattana and Pattaya officials issued the order to tear down the retail-entertainment mixed-use mall June 15. The plaza currently houses the popular Mixx discotheque and a Starbucks coffee house, among other outlets. Officials have ordered Bali Hai Plaza, or at least a large section illegally built over, and blocking the South Pattaya Canal, to be destroyed. A demolition contractor has already been hired and has begun removing furniture and fixtures for the demolition. Chakorn said Bali Hai Plaza was illegally modified to encroach on the Bali Hai flood-drainage canal and impedes the flow of storm runoff into the sea. A 1.07-million-baht contact has been issued for the Boy Ocean Star Co. to tear down the building, which has been cited numerous times over the years for the encroachment. The owner of the plaza recently filed a petition to halt the demolition, but it was rejected. Removal of some facilities and walls has begun, although Mixx was still advertising that it was open on June 18. 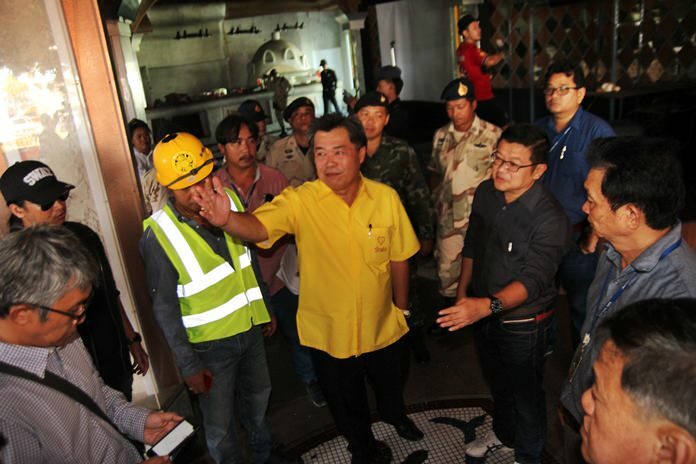 Banglamung District Chief Chakorn Kanjawattana and Pattaya Deputy Mayor Verawat Khakhay point out where the illegal add on to Bali Hai Plaza needs to be demolished to open up the flood canal and help reduce flooding in the rest of the city. The issue has now been sent to the Pattaya Court, which will decide on whether to carry on with the work. One solution may be to remove the illegal add-on to the plaza while leaving the rest of the structure in place. Work has already begun on demolishing the encroaching add-on, and officials stated that most likely the entire building will be leveled.